In the last decade, the world of PC gaming has seen huge leaps in the field of graphics. The perennial 720p HD Ready resolution is now all but consigned to the ash heap of history, while the 1080p Full HD hangs on by the skin of its teeth. 4k is becoming the new gold standard in the PC arena. To support ultra HD resolution at a decent frame rate, apart from advanced GPUs, gamers need ample RAM and a powerful and tough CPU. Here are our favorite CPUs in this regard. Any of them can be the best CPU for 4k gaming. 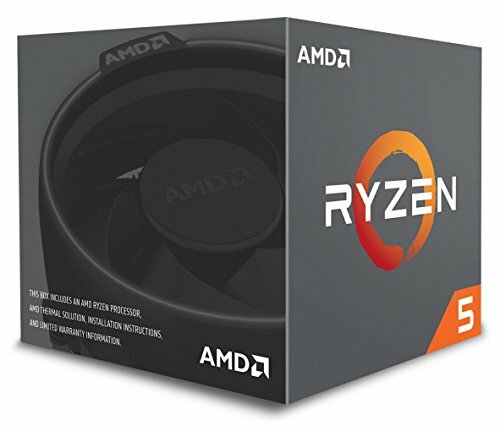 The Ryzen series made its debut back in February 2017 and the first Ryzen 5 processors became commercially available as early as April 11. The early models bear the 1000 designation and are based on AMD’s acclaimed Zen architecture. The first major update came approximately a year later with the introduction of the 2000 series. All models are based on the improved Zen+ microarchitecture. The Ryzen 5 2600 was unveiled on April 11 along with the 2600X, the series’ flagship processor. When it comes to raw speed and power, the Ryzen 5 2600 CPU delivers in spades. It has a 3.4GHz base frequency, which is on the same level as the various PRO 2600 processors. The 2600X and 2500X start at 3.6GHz and the 2600E at 3.1GHz. The “turbo” frequency of the Ryzen 5 2600 is a pretty respectable 3.9GHz, which is in the same range as the PRO 2600. The 2500X/2600E and 2600X operate at up to 4.0GHz and 4.2GHz, respectively. As a 5 series model, the Ryzen 5 2600 has six physical cores with 12 threads, making it more than capable of tackling the most demanding games out there. The combined cache memory is 19MB, or 16MB L3 and 512Kb L2 per core (for 3MB total). To properly cool this beast at top speeds, AMD equips it with the Wraith Stealth cooler, the smallest among the highly praised Wraith-series of CPU coolers. It works silently and without programmable LED illumination. Similar to the majority of second-generation Ryzen 5 models, the 2600 has a 65W TDP (thermal design power) rating. The 2700 models (Ryzen 7) go up to 105W and the top-of-the-line Threadripper processors between 180 and 250W. A fast and potent processor can’t do much on its own without adequate RAM support. The Ryzen 5 2600 is compatible with fourth generation DDR RAM working at 2933MHz. The processor has 24 PCIe lanes and supports one x16 or dual x8 PCIe 3.0. Intel’s Core is the dominant line of CPUs in professional, gaming, and casual uses. The Core saga began back in 2008 with the introduction of the first i7 processors based on the Nehalem architecture. Since then, the Core line has gone through eight major updates. 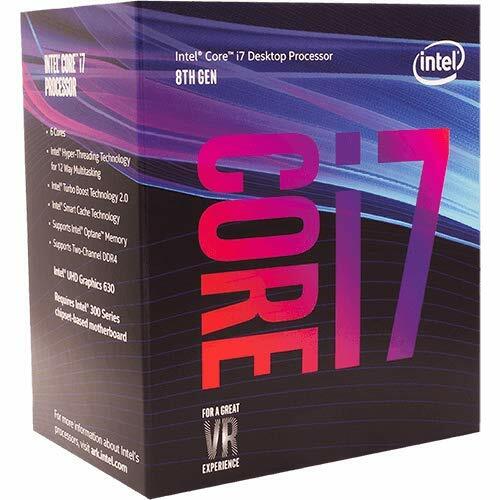 The 8th generation i7-8700 was introduced together with the rest of the Coffee Lake range in late 2017. The processor supports VR and the advanced Optane memory drives. Intel’s flagship 8th generation i7 processors are each equipped with 6 cores and 12 threads, a feature equaled by the Ryzen 5 CPUs. That being said, the i7-8700 is more than capable of handling demanding games and high frame rates up to 4k resolution. The L3 cache memory is 12MB. In terms of sheer power, the top-of-the-line Coffee Lake CPUs offer equal or better performance than the Ryzen 5s and are more or less on the same level as Ryzen 7s. The i7-8700’s cruising speed is 3.2GHz and its turbo speed is dependent on the number of active cores, ranging from 4.6GHz with one active core to 4.3GHz when all six are at work. When it comes to motherboard compatibility, the I7-8700 CPU is limited to Intel’s own 300 series chipsets. Similar to the rest of the Coffee Lake range, this mighty i7 uses the LGA1511 physical socket. The Intel i7-8700 is compatible with DDR4 RAM memory sticks working at a respectable 2,666MHz. While not the fastest in the business, this more-than-able pairing will provide you with a smooth 4k experience at home. Characteristic of the Core line, the CPUs have integrated graphics. While frowned upon by some and praised by others, this feature has been improved upon from generation to generation. The UHD 630 engine featured on the 8th generation i7 processors is powerful enough to give the Ryzen 5 and 7 processors a serious run for their money. 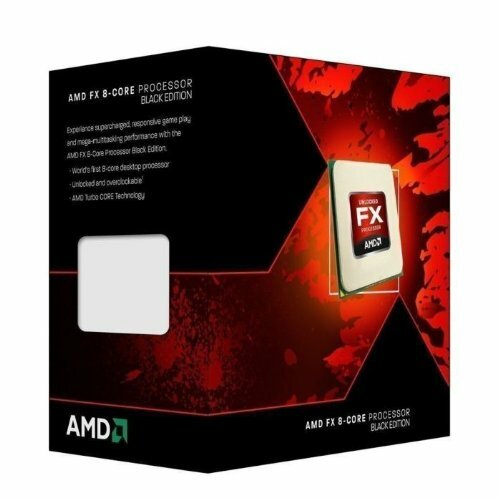 The AMD FX series was introduced back in 2012 around the time of Intel’s Ivy Bridge or 3rd generation Core processors. It features an updated Bulldozer architecture known as Piledriver. At the time, the FX-8350 was among the more powerful and faster desktop options comparable to some of the best Intel Core processors of the era. Today, the FX-8350 might be slightly outdated but what you get is plenty of power and speed for the money. It is one of the go-to CPU options for gamers who want a decent 4k experience on a tight budget. Back in the day, the FX-8350’s base speed of 4.0GHz was one of its main strengths. Today, it can still rival many intermediate AMD Ryzen and Intel Core processors. The turbo speed depends on the workload: 4.1GHz with all cores at work or 4.2GHz at half load. The FX-8350 has 4x2MB of L2 cache memory and 8MB of L3 memory. Bulldozer was AMD’s first series of eight-core processors and the derivative Piledriver continued in its footsteps. The FX-8350 has eight cores and one thread per core. In combination with the high clock speed, the FX-8350 can still deliver some pretty awesome frame rates at high resolutions. The TDP rating of this processor is 125W. While modern Ryzen and Intel Core processors typically support DDR4 RAM memories that run at 2,666 or 2,933MHz, the FX-8350 works with 1,866MHz DDR3 RAM. In this regard, FX-8350 hasn’t aged all that well, clearly outclassed by the young guns. It is time to conclude with the best CPU for 4k gaming. If you want serious power and 4k frame rates without breaking the bank, the AMD Ryzen 5 2600 is your best bet. Despite its shortcomings and flaws, the Ryzen boasts the best price-to-performance ratio among the three. The highlights of this great CPU include six-core construction, high clock speeds, and compatibility with fast DDR4 memory. The Intel i7-8700 is there for Intel loyalists and gamers who seek a smooth 4k experience. 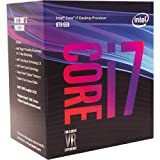 While offering an equivalent or better performance than the Ryzen model, the i7 also costs a lot more. However, it does have the stunning UHD 630 graphics engine, 6-core construction, and Optane compatibility. Finally, for gamers looking to set up a 4k gaming rig on a small budget, the AMD FX-8350 might be the best solution. This affordable CPU offers tons of raw power and you get 8 cores.